Street Fighter 5 is done for the year competitively, with the Capcom Cup ending in an American victory in highest-level international Street Fighter for the first time in many years, but that means it’s time for season two. This means not only another batch of six characters, five of which will be completely new, but a total rebalance of the game. What would have originally been a new version – with Supers and Turbos to boot – is now a patch, and it will be deployed December 20. It’s that time of the year – choose the best games of 2016. 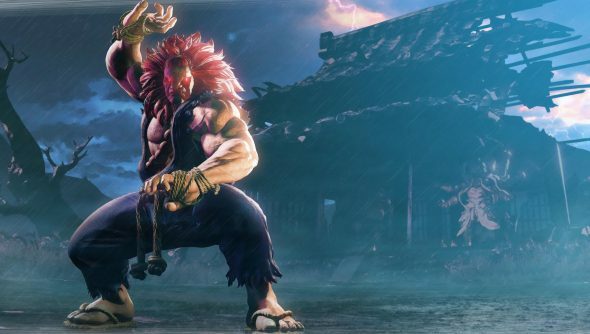 Akuma got his very own trailers out of Playstation Experience, looking all-new and all-hair. It was later confirmed that the five characters mentioned are brand new to the Street Fighter series as a whole, so your guesses as to their silhouettes are probably wrong. The patch is yet to be detailed, although Capcom have posted their intended goals. In general, they want to push characters away from each other and towards being unique. This means less shared attributed between moves, such as effective anti-airs and invulnerable moments. More details have been tweeted by various FGC personalities and players that were present at Playstation Experience, where the patch was on display. PVPLive have gathered a bunch of htese if you want the early details, possibly still to change, while Capcom say a proper set of patch notes will be present soon.